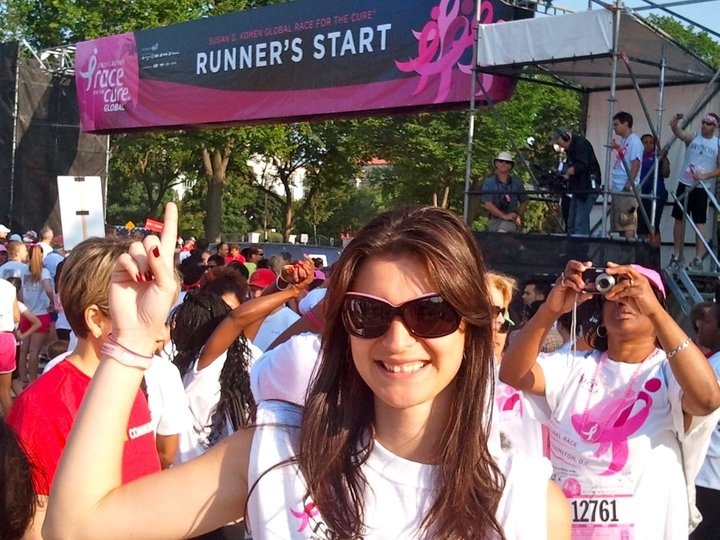 Nearly 40,000 people descended on the National Mall to participate in the 22nd running of the Susan G. Komen Global Race for the Cure® in Washington, D.C. The event raised more than $5 million to fund breast cancer programs for women in need throughout the National Capital Area and across the globe. 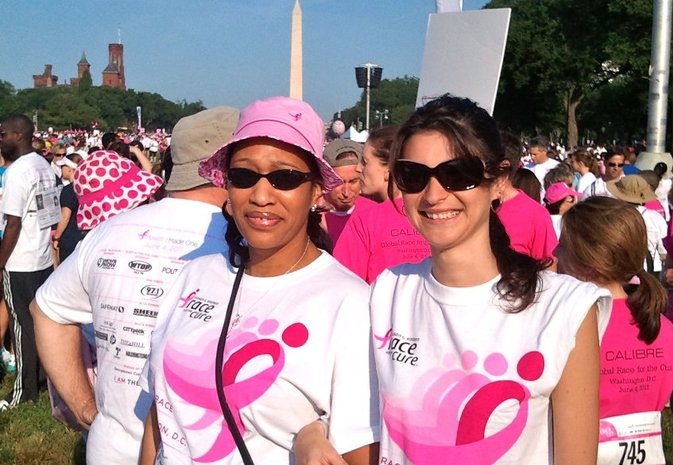 Thanks to the Global Race, Komen is able to impact the lives of breast cancer patients in the National Capital Area as well as women across the globe. Up to 75 percent of the Race revenue remains in the D.C. area. The morning’s festivities, emceed by W*USA’s Andrea Roane, WASH-FM’s Maureen McLain and WTOP’s Man About Town Bob Madigan, opened with a Survivor Parade featuring more than 3,100 breast cancer survivors and 16 international flag bearers who marched onto the mall to a live performance of “We Fight Back,” an inspiring song by singer and American Idol semifinalist Tim Halperin. Celebrity fitness trainer Holly Perkins helped warm up the crowd as they prepared for the morning’s 5k walk. 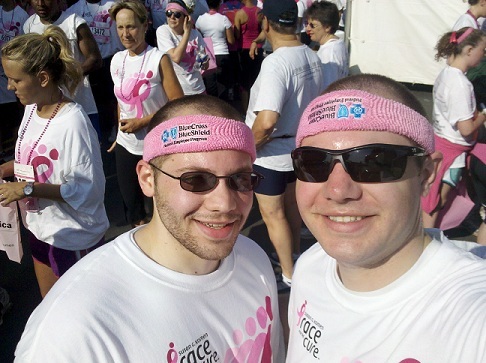 Team ActioNet raised $6,130.00 and ranked # 15 out of the top 20 Corporate sponsors. 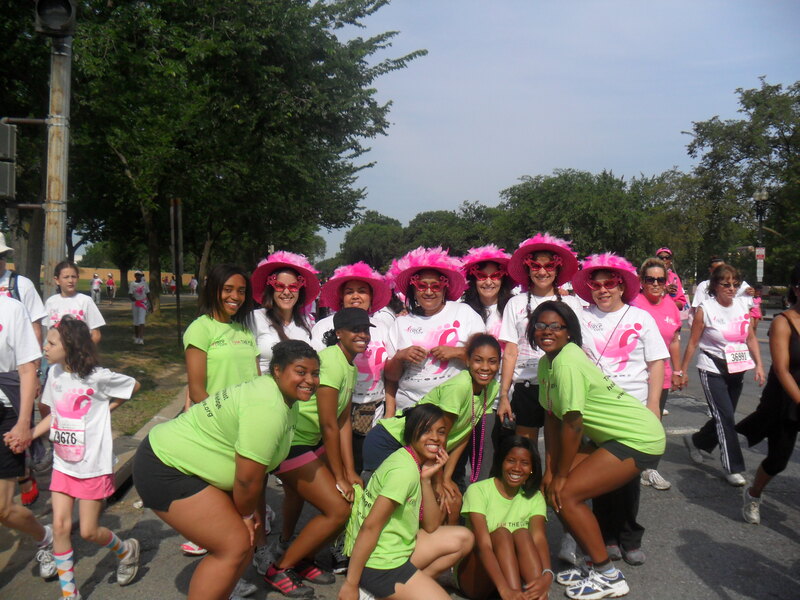 The ActioNet sponsored Bowie High School cheerleaders were volunteers as I AM THE CURE Leaders. I AM THE CURE.® Leaders are the official “cheerleaders” of the Race! Stationed at key locations along the Race course to support runners and walkers. Thank you to the ActioNet runners, walkers, volunteers and the monetary donations. Our success is due to your involvement and generosity.